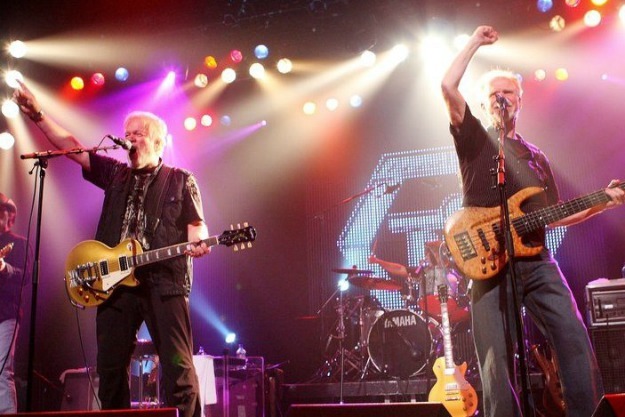 Two years after former Bachman Turner Overdrive bandmates Randy Bachman and Fred Turner reunited for the sensibly titled "Bachman & Turner" album, the duo is celebrating its renewed partnership with a new double live album, titled "Live at the Roseland Ballroom, NYC". 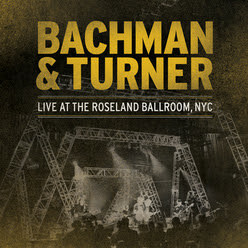 The set was recorded at New York’s Roseland Ballroom, where Bachman & Turner’s tour rolled through in November 2010. The 20-song set draws from across their career, making room for classic BTO and Guess Who hits as well as cuts from "Bachman & Turner". The duo was joined by C.F. Turner (bass, vocals); Marc LaFrance (drums, percussion, vocals); Brent Howard Knudsen (guitars, vocals); and Mick Dalla-Vee (guitars, vocals). You can now watch the full show below.